Dr. Staudt recently corresponded with CWR from Denver, where he lives with his wife Anne and their six children. CWR: The book, as the title indicates, gives a clear nod to Rod Dreher’s much-discussed The Benedict Option, but was that what inspired the book? How did come about? Staudt: The book came about through a long love of the traditions and culture surrounding beer, especially those related to the monks. I began giving talks at Theology on Tap and writing about new monastic beers that began appearing in the last five years, both in the US and abroad. 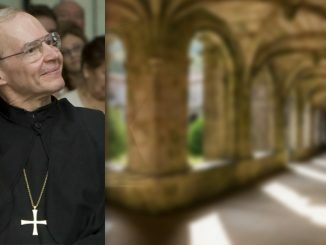 I’m a Benedictine oblate and so I believe strongly in the power of the Rule of St. Benedict and the witness of the monks not only to inspire holiness, but also to teach us about Christian culture. The monks have formed a way of life completely infused by faith and prayer. 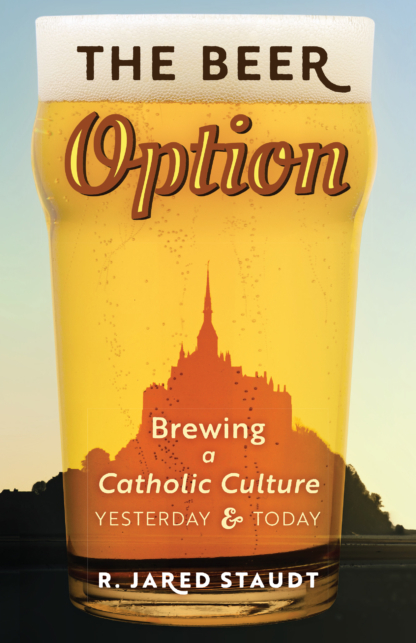 As I was writing the book, I began to realize that beer was a particular expression of how the monastic tradition has shaped culture in the past—as the monks played a key role in developing beer as we know it—but also how it can inspire us to renew culture right now. Since homebrewing and microbrewing were legalized in the late 1970s, there’s been a huge explosion of local, craft beer in the United States (as we’ve jumped from about 40 to 4,000 breweries since that time). This has stimulated local economies (as well as the home economy), expanded our appreciation of quality and styles, and created space for communities to gather. Many monasteries, watching this renewal of brewing, have decided to return to their own traditional practice of brewing and Catholic parishes have been using beer to inspire conversation and build community. In light of these developments, I propose that beer provides a small window into Catholic culture—how we craft things, use them festively and to evangelize, and to build community. CWR: A key theme throughout your book is the close, but often overlooked, relationship between Catholic culture and beer. 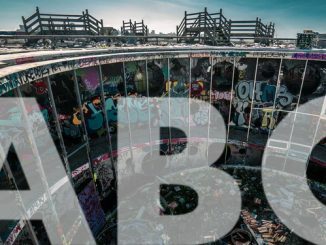 What are some of the theological and historical reasons behind this connection? Staudt: We rightly think of wine as an essential Catholic drink and it certainly holds primacy of place as it provides the matter for the Eucharist. We do see a glimpse of beer in the Bible, however, as a type of ancient beer, shekar in Hebrew, was used in Israelite worship as part of the libation or drink offering. As the Celts and Germans converted to the faith in the early Middle Ages, they began a tradition of Catholic brewing. St. Patrick traveled with a brewer around Ireland and another Celtic monk, St. Columban, performed three beer miracles. Other saints such as St. Brigid, St. Arnulf of Metz, and St. Arnold of Soissons also performed miracles including dividing quantities of beer in imitation of Jesus’ dividing of the loaves. In Northern European culture, beer became a part of Catholic festivity and celebration, an example of which can be seen in the word bridal, coming from the bride’s ale used in the wedding feast. Catholic countries developed other traditions, such as the Sunday family beer garden and special drinks for the liturgical seasons like the Franciscans’ doppelbock to sustain their fasts. Catholics recognized beer as sacramental (in the lowercase sense) by viewing the goods of culture as stemming from the blessing of God and ordered back to Him in festivity. Beer is one example of how we should order our habits, including eating and drinking, to the glory of God. CWR: How did monks and the monastic world, so to speak, develop beer-making in practical terms? Why was that so significant? And why was there an eventual decline? Staudt: Monasteries built the first large scale breweries in Europe, particularly in the north where grapes could not grow. In fact, they used beer not only for their own consumption, but to serve the sick, poor, and pilgrims as beer was much safer to drink than water in many places. An example of this can be seen in the Celtic monastery at St. Gall in Switzerland, which housed three breweries, brewing beers of various strengths for the different groups it served. The Benedictines, known for their focus on prayer and work, made some early advancements to brewing. In the 700s in Northern France, they became the first documented brewers to use hops to flavor beer, which we now view as an essential ingredient. They also brought about new techniques (such as decoction), equipment (such as the coolship, lauter tun, and copper kettles), and greater sanitation. St. Hildegard, the Benedictine doctor of the Church, also wrote extensively on the health benefits of beer and hops. Nearly every monastery in northern Europe brewed in the Middle Ages, which included other religious orders such as the Norbertines, Augustinians, and Franciscans. A series of disasters led to the downfall of brewing by the religious orders. First of all, the Reformation secularized many monasteries. The renegade friar, Martin Luther, turned his old Augustinian friary into his personal home, where he engaged in his famous table talks with beer brewed by his wife, a former nun and master brewster. Later the French Revolution and Napoleonic Wars led to the closure of nearly every monastery in Europe. In the mid-nineteenth century some would resurrect, but nowhere near the earlier numbers, and only a small number of them continued to brew. The World Wars left only a handful operating, mostly in Belgium and Germany. Even in the United States, prohibition closed the few monastic breweries opened up by German monks and friars, such as at St. Vincent Archabbey. CWR: Drinking, as you discuss, can be abused. 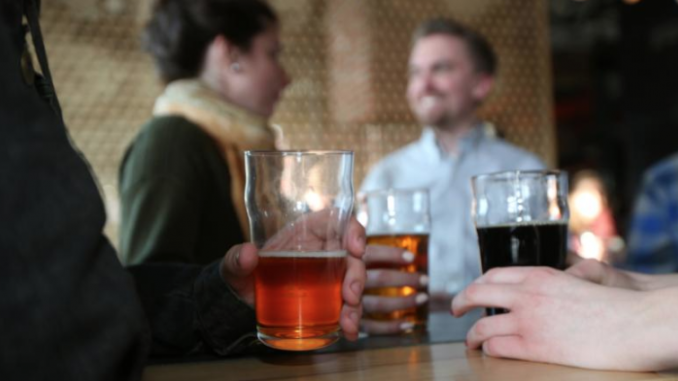 What virtues should inform how we view and partake of beer and other alcoholic beverages? Staudt: I look at how Catholic drinking should be informed by feasting, fasting, and friendship. By feasting, I don’t mean simply having a good time, but engaging in festivity, which orders our drinking to God in communal thanksgiving and praise. Fasting keeps our drinking in perspective, taking times to deny ourselves of the goods of eating and drinking to show that God is more important than them and to make sure we do not become too attached. Genuine friendship keeps our drinking ordered to others, drawing us into conversation and relationships, rather than pulling us toward escape. Temperance (or moderation) is the key virtue that directs our eating and drinking. It guides us to avoid the extremes of drinking too much (a very common vice) and too little (a Puritanical rejection of the legitimacy of drinking alcohol). Alcohol is clearly a good recognized by the Bible (especially as Jesus has used it for the Eucharist), but it also makes clear the danger of drinking too much, to the point that Paul lists drunkenness as a sin that can keep us from entering the Kingdom of Heaven (1 Cor 6:10; Gal 5:21). If we cannot drink in moderation, we must refrain from alcohol. When rightly consumed, however, alcohol can contribute to a healthy and holy life. CWR: You have a very interesting, and timely, chapter comparing drinking beer and smoking marijuana. Why that chapter? And what is the crux of your argument that the two are quite different in character? Staudt: I live in Colorado and was caught off guard when voters legalized marijuana in 2012. The effects have been clear, though many seek to downplay them: higher rates of youth consumption, more emergency room visits and car crashes, and a rise (not a decline!) in organized crime. We continue to see more and more studies looking at troubling effects of marijuana, especially on the youth brain and its link to psychosis. In this chapter, I look at how beer is a foodstuff, something made of ingredients that are meant to be consumed, and how it should be enjoyed in a way that promotes our health and draws us toward communion with others, rather than encouraging us to withdraw into isolation. The abuse of alcohol relates to marijuana consumption in that both constitute an escape from reality. There is nothing intrinsically wrong with the cannabis plant as a natural substance, but consuming it in order to get high constitutes a flight from reason and strikes at the heart of human dignity. Marijuana use does not promote the social good, health, and friendship, and it is not ordered toward God in festivity. There is plenty of evidence out there about its harmful impact, but our society seems determined to normalize it. CWR: If we had this conversation over a beer, what would you be drinking? I love discovering and learning about new monastic beers. Right now, I have a bottle of England’s new Trappist beer, Tynt Meadow, and plan to enjoy it for Easter! I also recommend Birra Nursia, brewed just outside of St. Benedict’s hometown by American monks, and the new American Trappist beer Spencer (which can be purchased online along with a number of other Trappist beers at Monastery Greetings). 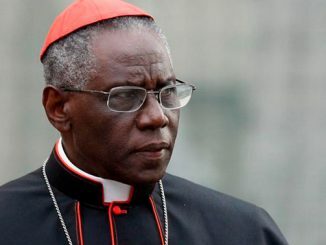 Why did Robert Cardinal Sarah decide to devote a book to silence? Well, there go the 1960s. If only we had had in the 1960s a print journal titled “Condemner Reports: the monthly technical & theological journal for the dedicated execrator”. When Spencer Ale was first introduced by its original distributor, it was more expensive than it is now, with a new distributor. I once tried to explain to the owner of a local store that Catholics might buy Spencer Ale, despite its price, because they would be getting great ale and contributing to a great cause. I do not know how convincing I was. Today, a Spencer Ale 4 pack at a different, nearby (despite being in a different state) store is $13.99 + $0.20 Massachusetts bottle deposit. In my case, the bottle depository that provides the 20 cent refund is conveniently located right next to the store. The automated depository prints a receipt for the bottles (each laser-scanned), which can be redeemed at the Market Basket supermarket, right next door. Yes, we have, in order, left to right. Spencer Ale dealer, Massachusetts bottle depository, and a great supermarket at which the deposit can be redeemed. Still, this might seem like a high price for ale, until one realizes that the ale is deeply satisfying, and only one bottle is required. The difference between Spencer Ale and lesser ales is roughly the difference between real food (as described by David L. Katz – MD, MPH, FACPM, FACP, FACLM) and junk food. Why Do the Media Rage?